The importance of creating dedicated organizations for the advancement and advocacy of longevity research, development and therapy should be obvious. The appropriate structure for such organizations in many countries is a non-profit organization (NPO) or non-governmental-organization (NGO). Yet, such organizations are too few, especially outside of the US. Hopefully, there may be more of them. Sometimes, even the effort of creating the bylaws and registering the organization, and then reporting its progress, stops many organizations even from emerging. Below is an example of the bylaws of an active longevity advocacy organization – the Israeli Longevity Alliance. Hopefully it can provide some samples and some food for thought for the creation of other longevity research and advocacy NPO’s and NGO’s around the world, to achieve healthy longevity for all. The main aim of this Alliance is to act for the advancement of healthy longevity for the entire population through scientific research, technological development, medical treatment, public health and educational measures, advocacy and social activism. Within this general aim, the Alliance emphasizes and promotes the amelioration of the deteriorative aging process as the main factor undermining healthy longevity. Promoting cooperation between national and international research institutes, public associations and other bodies acting for the sake of healthy longevity. Promoting the establishment, development, management and maintenance of appropriate frameworks, services and programs, for the research and treatment of the deteriorative aging process and for healthy longevity. Support of academic and public organizations for research, development and application that will be involved in the creation and testing of treatments of the deteriorative aging process and its derivative chronic diseases, and for the sake of healthy longevity. Acting for the expansion of education and raising public awareness concerning the struggle against the deteriorative aging process and for healthy longevity, and concerning scientific developments in this field, addressing both the individual and the society, both the professional and lay community. Organizing publications, including publications in professional and mass media, in professional and social networks, conferences, festivals, study and reading groups, research and education workshops, and open discussions, in diverse areas of science, technology, society, culture, arts, literature and additional areas as promote the aims of the society. Encouraging the collection of up-to-date, evidential scientific information regarding the optimal hygienic life-style for aging persons, free sharing of this information and open discussions of the findings with the health care community and the wide public. Encouraging studies in the existing academic and communal learning frameworks, related to healthy life extension, including: bio-gerontology; geriatrics; biotechnology; medical technology; social work; financial planning; science, technology and society, and studies in other fields related to healthy life extension. Networking of activists, researchers and lay persons interested in the amelioration of the deteriorative aging process and achievement of healthy longevity. In particular, the society will encourage discussions, collective decision making and collective actions using online platforms, including the discussions, collective decisions and cooperation within the society. Promoting legislation and policies for research, development, public health and education aimed at reducing the damage of aging and for healthy life extension. As a general principle, the society will uphold the ideal of the preservation of human life as a universal, absolute and unconditional value for all, while maintaining the values of freedom, human rights, ethical development of human capabilities, peace, justice and equality, humanitarian and scientific education, and social, economic and environmental prosperity – insofar as these factors are found to be in good agreement with healthy longevity. (a) The founders of the Alliance are members thereof from the date of registration in the Registrar of societies. The request to be admitted as a member of the Alliance will be submitted to the Alliance’s board in written form, including the possibility of electronic registration, whether the applicant is a resident of Israel or foreign resident. (c) The decision concerning admission or non-admission of the applicant as a member of the Alliance will rest with the board of directors. If the board of directors refuses to admit the applicant, he may lodge objection before the next general assembly. (a) A member of the Alliance is entitled to attend and vote at every general assembly and will have one vote at every voting. He is entitled to elect and be elected to the board of directors and the auditing committee. (b) A member of the Alliance is entitled to take part in its activities and to enjoy its services. (c) The board of directors may, with the approval of the general assembly, prescribe a membership fee and the method of its payment, the payment of which will be obligatory on the members. (d) Termination of membership of the Alliance will not exempt from effecting payments due to the Alliance from the member immediately before the termination of his membership in respect of the period up to such termination. (3) upon expulsion from the Alliance. (4) the member was found guilty of an infamous crime. (c) The board may not recommend to the general assembly the expulsion of a member of the Alliance until after he/she has been given due opportunity to voice his/her claims before the general assembly of the Alliance, and will not make such expulsion based on that prescribed in sub-Section (b)(1), (2) or (3) until it has warned the member and allowed him/her reasonable time to correct the offense. Any invitation, request, warning or other communication by the Alliance to a member, whether he/she is a resident of Israel or foreign resident, will be in writing and will be delivered to him personally or sent by ordinary mail, or electronic mail, to his address registered in the registry of members; on the written application by member, the Alliance will change his/her address and other personal details registered in the registry of members. The day, hour and place of a general assembly will be fixed by the board. A general assembly will be convened by notice to every member at least ten days in advance, indicating the day, hour, place and agenda. An ordinary general assembly will hear reports on the activities of the board of directors and the activities of the auditing committee, will consider them and the financial report submitted to it by the board of directors, will decide on their approval and will elect a board of directors and an auditing committee. (a) A general assembly will be opened when any number of the Alliance members are present, including electronic means of participation noted in the letter of invitation to the assembly, at the time noted in the invitation letter. (b) It is possible to conduct the general assembly by electronic means, provided that the characteristics of a physical assembly are preserved, i.e. that all the participants can hear and see each other simultaneously and conduct discussion on the subjects of the agenda. (c) It is possible to conduct electronic votes using electronic voting systems, provided that the conditions of clause 8(b) above are fulfilled. A general assembly will elect a chairperson and a secretary for the assembly from among the members of the Alliance. The decisions of a general assembly will be passed by a majority of the votes of those voting unless the Law or these Articles require a different majority; where the votes are evenly divided, the chairperson of the meeting may made the decision. The secretary of the general assembly will keep minutes of the meeting. The number of the members of the board will be fixed by decision of the general assembly but will not be less than two. (a) The board of directors will hold office from its election by a general assembly and until another general assembly elects a new board; a member of the outgoing board of directors may be re-elected to the new board of directors. (b) A member of the board of directors may resign at any time by written notice to the board of directors; a member of the board will cease to hold office if he/she has been declared legally incompetent or bankrupt. (a) Where the position of a member of the board of directors has fallen vacant, the remaining members or member may appoint another member of the Alliance to hold office as a member of the board of directors until the next general assembly. Pending such an appointment, the remaining members or member of the board of directors may continue to act as a board of directors. (b) Where a member of the board of directors is unable to carry out his functions, the remaining members or member may appoint a member of the Alliance to take his/her place until he/she again carries out his/her functions. (a) The board of directors may itself arrange the times of its meetings, invitation to them, the required quorum and procedure for conducting them. (b) It will be possible to participate in the meetings of the board and its votes using electronic means, such as tele-conference, video-chat, electronic voting system etc. The participants and the voters using electronic means at the time noted by the board – will be considered as full participants of the board meeting and its votes. (a) The decisions of the board of directors will be passed by a majority of the votes of those voting; where the votes are evenly divided, the proposal will be regarded as rejected; a unanimous decision of all the members of the board of directors may be adopted outside the course of the board of directors meeting. (b) The board of directors will manage the affairs of the Alliance, including decisions about the performance of projects and other activities to advance the purposes of the Alliance, collection of donations and resources, employment and renting of services, personnel and facilities needed for the performance of projects and activities of the Alliance. (c) The board of directors is entitled to establish sub-committees, working groups, and professional councils, such as for scientific, educational, cultural and other subjects as it will determine, and will define their mandate. The sub-committee, working group or council will act only within the framework of the mandate and subjects as determined by the board of directors. The board of directors will be entitled, at any time, to cancel the appointment of a sub-committee, working group or council, change the contingent of their members and establish additional directives regarding their activities. Without detracting of the said above, the sub-committees, working groups and councils are entitled to establish the proceeding of their work and ways of their activities for the fulfillment of the mandates subject to the decisions of the board. (d) The board of directors is entitled to establish special functions for its members and members of the Alliance for the performance of activities and advancement of the purposes of the Alliance. The board will keep minutes of its meetings and decisions. The board of directors may empower two or more of the Alliance’s members and/or its employees to sign documents which bind the Alliance on behalf of the Alliance, and to perform on its behalf acts which are within the competence of the board of directors. The provisions of Sections 12 to 17, will also apply, mutatis mutandis, to the auditing committee. (a) The Alliance may, by decision of the general assembly, establish branches and provide for their organization and the regulatory procedures of their business. (b) The Alliance will cooperate with public bodies, research institutions and other organizations, in Israel and abroad, acting for the sake of similar purposes, and will be entitled to enter with such bodies into partnerships, become affiliated with them and/or represent them according to mutual agreement and subject to Israeli and International law. Thus, the Alliance will be an integral part of the International Longevity Alliance (ILA). 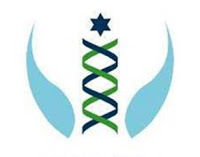 The connection to the International Longevity Alliance is reflected in the name of the Alliance in English – the Israeli Longevity Alliance. Where any assets remain after the Alliance has been liquidated and its debts have been paid in full, such assets will be transferred to another society having similar objectives, as stipulated in paragraph 9(2) of the Internal Revenue Service order, and will not be distributed between members of the Alliance. The assets of the Alliance and its revenues serve exclusively the purposes of the Alliance, and any distribution of revenues or benefits in any form among the Alliance members is prohibited.